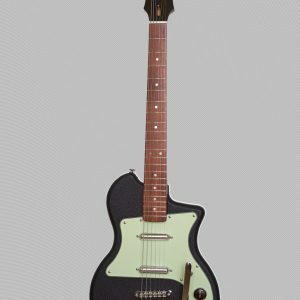 This Coruña model has a chambered body, with a domed top. 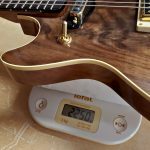 The body is made of quarter sawn Alder and the top is an exquisite piece of figured American black walnut, trimmed with cream coloured binding. 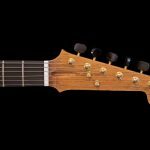 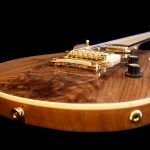 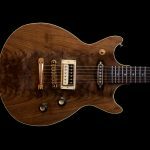 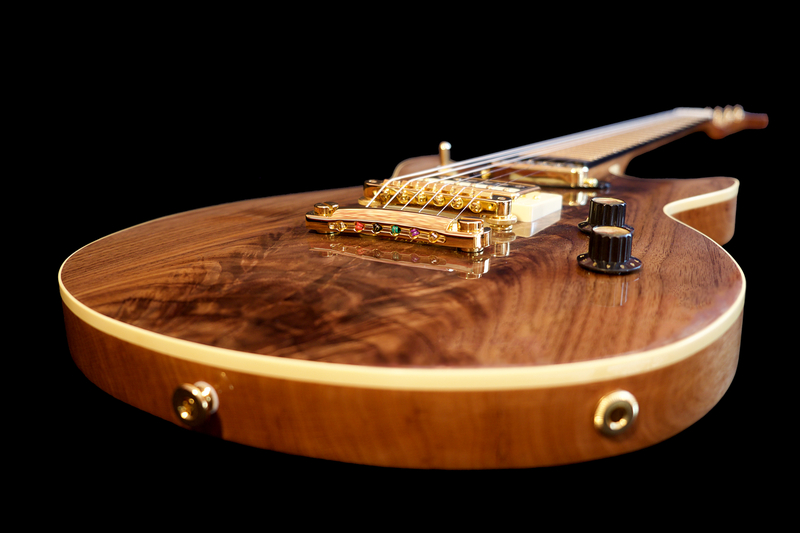 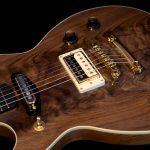 The neck is made of lightweight, quarter sawn Spanish Cedar, topped with an ebony fingerboard, holding 22 medium size EVO gold frets. 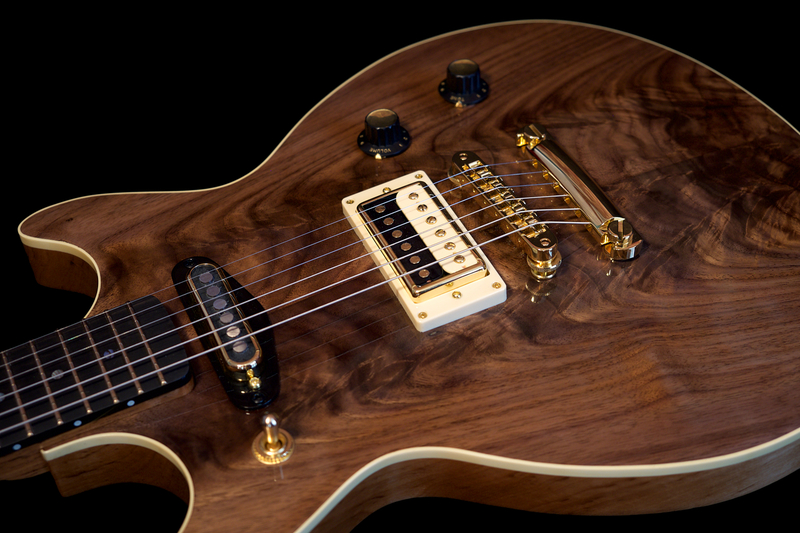 The bridge pickup is handwound to T-top humbucker specs and has a full yet bright and articulate sound. 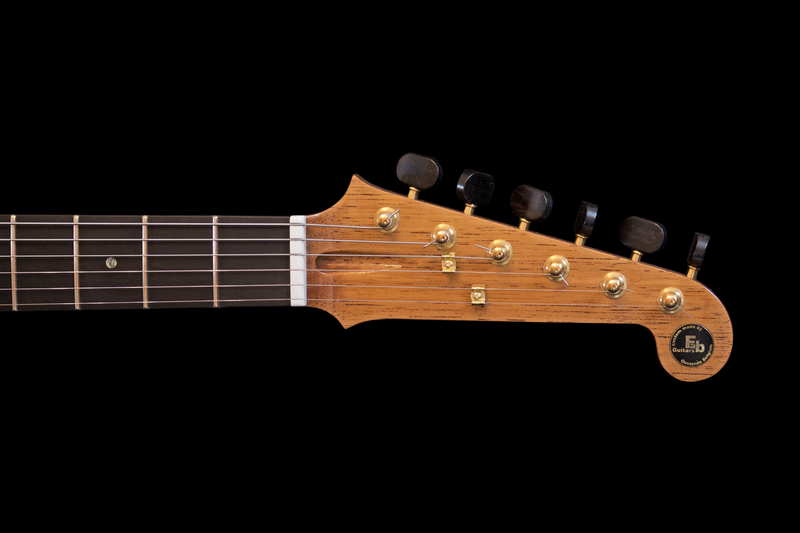 The neck pickup is a tall single coil with oversized alnico V rods, to match the bridge pickup’s volume. 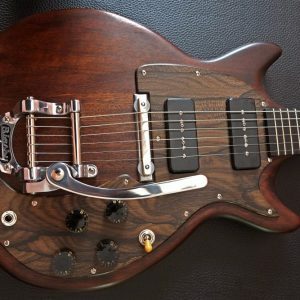 I used thicker AWG41 wire to get a snappy, clear tone. The gold plated hardware is by Schaller. 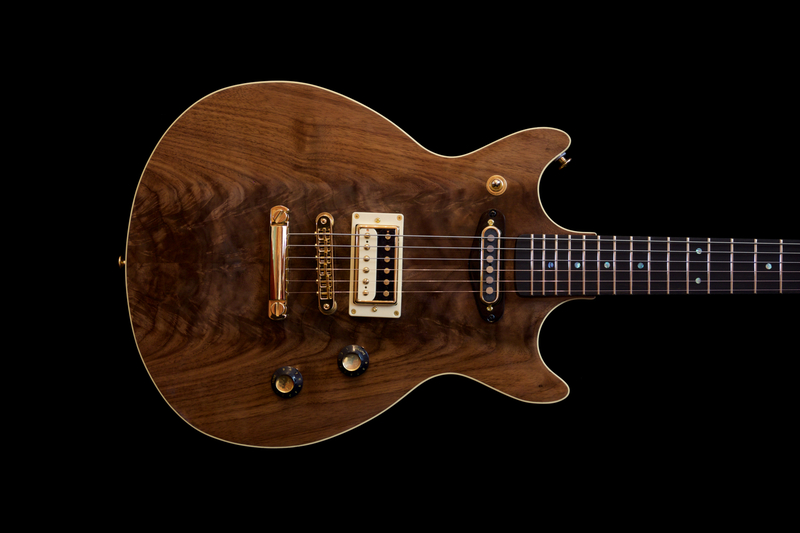 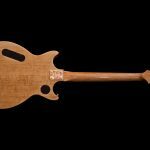 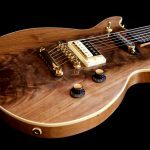 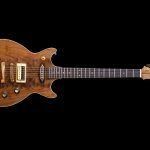 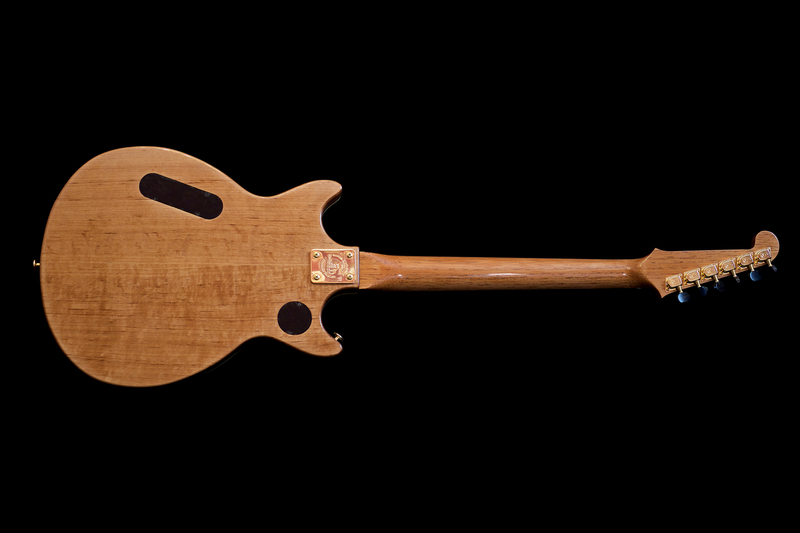 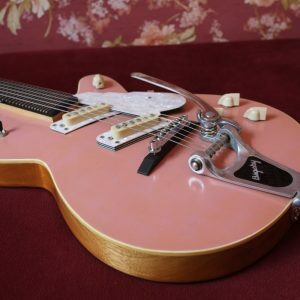 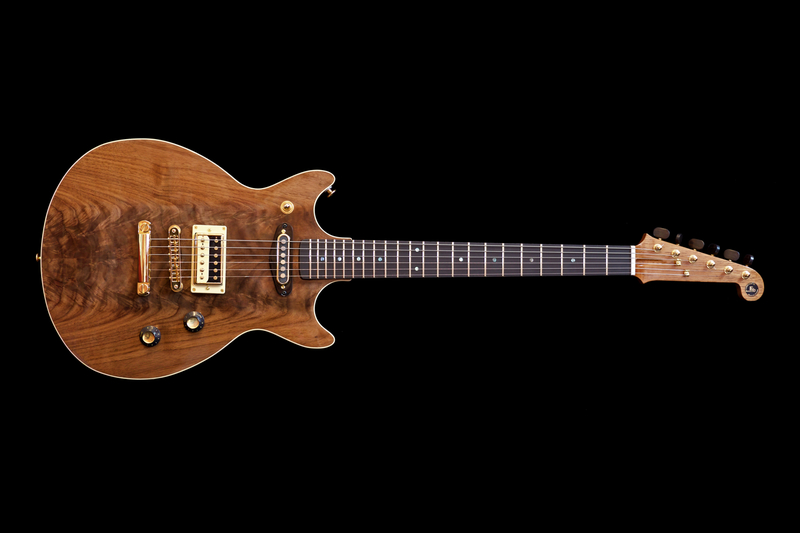 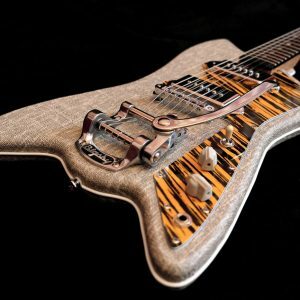 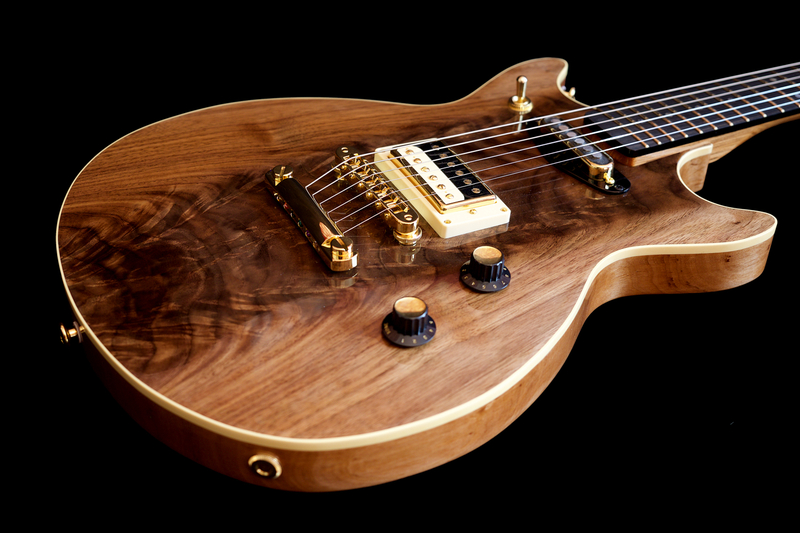 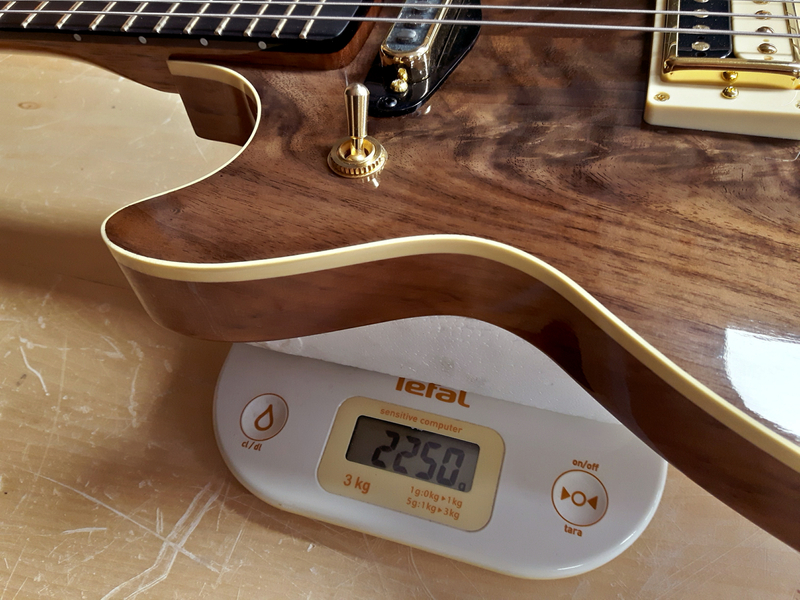 The total weight of this guitar is only 2250 grams!